Look at the diameter on those cranks! They must have been fast bikes. 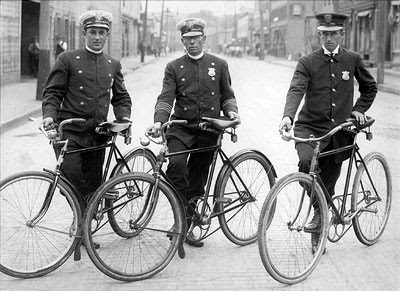 If only cops still looked like that.